This article is on how to tint your car windows. Window tinting for the cars is very important. It definitely will save your car interior from fading and provide you a comfortable temperature inside the car. Some car tinting service providers charge a lot just for labour. 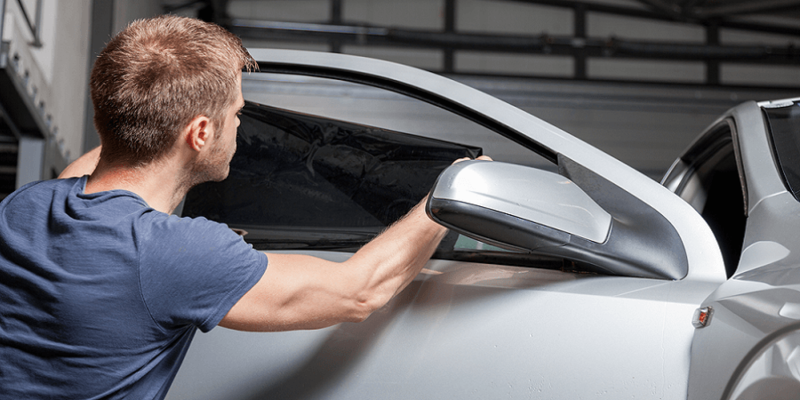 DIY car window tinting will enable you to save that money. Before you proceed, you will have to collect the equipment and tools necessary. You have to purchase window film from a supplier or installer. Beside this, a razor knife, a window tint application solution, a scraper blade, a lint free cloth, an application squeegee and a heat gun will also be necessary. Excessive heat or cold must be avoided for better working experience. Dust free workplace will increase the efficiency of the tinting. Also, it is better to check the federal laws about tinting before installing it. The application solution must be applied in the inner part of the window. Try to avoid over spraying. Use the scraper blade for uniformity. Start the blade from the top of the window and slowly run downwards. Dust, debris or grime will be removed by the scraper blade. Use the squeegee just like the scraper blade. It is for ensuring 100% removal of dust and other disturbing materials. The application solution must be applied in the outer part of the window. Attach the tint window film over the solution with a protective layer in the outside. You have to cut the film according to your window’s size now. The application solution will hold the window film for you. You can also use the squeegee for ensuring the steadiness of the solar film. Special measures must be taken for sliding car windows. Roll them down from the door frame around one-fourth inch. You must cut the top and both sides of the film for a better structure. Using the window edge like a template will help you to cut the edges of the film. After that, spray the solution in the inner part of the window. Before you peel of the protective liner, fix the position of the film by attaching tape. During peeling spray the application solution for a better result. Now remove protective liner fully and then take off the film from the outer part of the window. Attach it to the inner part of the window. It is better to leave a gap of a one-eighth of an inch from the peak of the frame in case of sliding windows. Make sure you use the squeegee to remove all the water and air. Now, you have to spray the application solution again. Rolling up the window using the squeegee to grasp the gasket is a good technique. You also have to slide the film underneath the window. Use of squeegee makes sure that no water or air is trapped under the film. Read more on how to get bubbles out of car window tint. Enfold the squeegee with the help of lint free cloth. Sweep it throughout the window. The cloth will remove any residual solution. Wiping the doors trim and paint with the cloth might follow after this. If you are unlucky, there might be some trapped air and water beneath the film. Do not be frustrated. You can get rid of those by using a heat gun. Heat guns usually warm the place around the air or water which will be followed by sweeping squeegee over the bubbles. You might have to repeat the process for the best outcome. 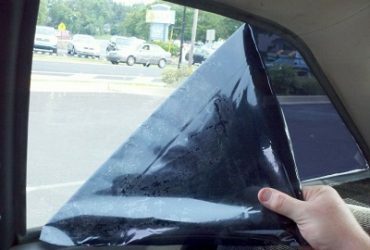 DIY car window tint is not only money saving but also a fun project. All you need is some basic tools. 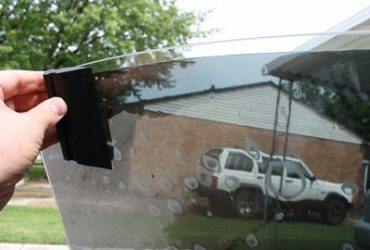 If you were wondering how to tint your car windows, this article should have been a good DIY guide. You might also want to read more on how to remove car window tint in case you run into problems while installing it.